In addition to being a jewelry maker, I am a visual artist. After training with a BFA in painting from Virginia Commonwealth University my work has been shown in galleries throughout the Washington, DC, metropolitan area, Virginia, New York, Oregon, Idaho and New Mexico. 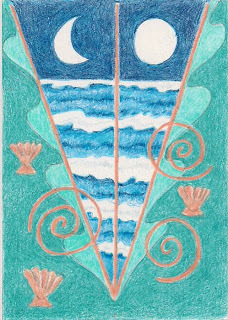 I am working on a collection of four ACEOs; the theme is creation and the origin of the four sacred elements: fire, water, earth and air. 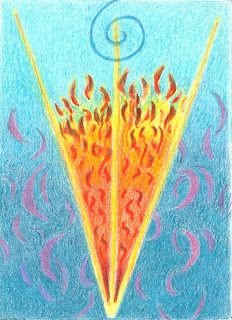 These elements have been a recurring theme in the majority of my visual painting, drawing and mixed media art. 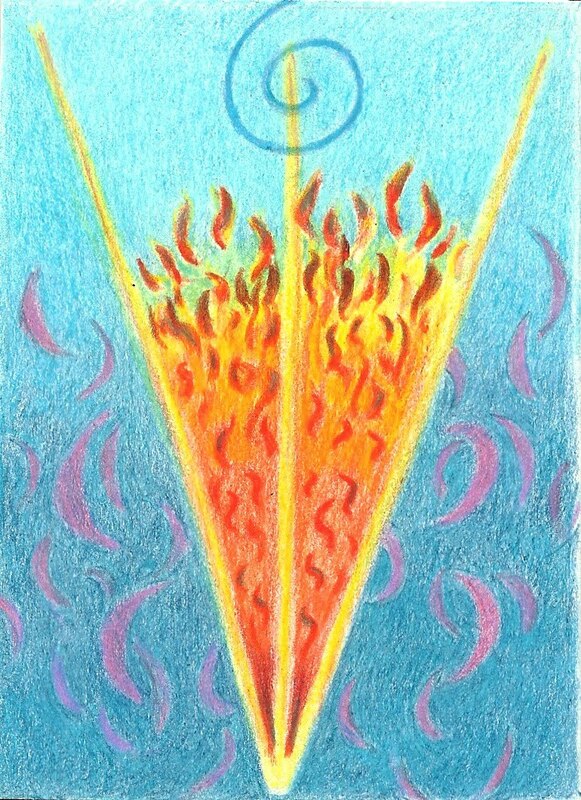 They each have associations such as for fire: birth, illumination, power, and more. They are done in colored pencil. I will continue to share this collection as I work on it and welcome all comments.